MONTPELIER — A bold statement by the Vermont House of Representatives — calling for Vermont’s pension funds to divest from coal and ExxonMobil — was applauded today by the state’s major environmental groups working on divestment from fossil fuels. A resolution passed by the House today urges State Treasurer Beth Pearce and the Vermont Pension Investment Committee (VPIC) to lay out a process to divest the pension funds of all companies with coal holdings. It also calls for VPIC to divest out of all ExxonMobil stocks. VPIC oversees approximately $4 billion in the state retirement systems for teachers and state and municipal employees. The Vermont Senate is also considering action on divestment from coal and ExxonMobil, which Gov. Peter Shumlin supports. Both houses of the General Assembly have been considering the issue. The ExxonMobil provision drew special notice from Bill McKibben, co-founder of 350.org. ‘Vermont’s leadership in singling out ExxonMobil will echo loudly. 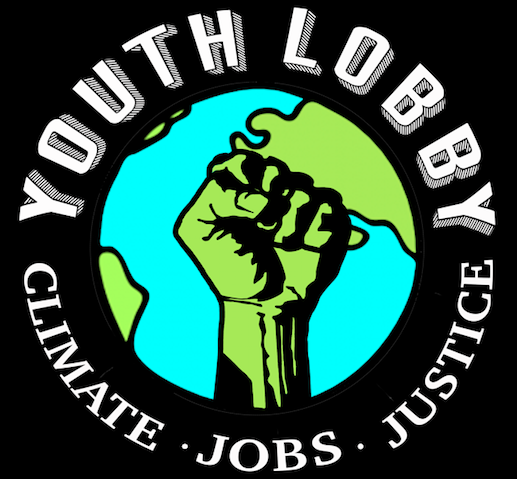 This is the first legislative body to join the attorneys general of New York and California in understanding the depth of the deception the company engaged in, and the stakes for the planet,” said McKibben, a Ripton resident, author and one of the world’s leading advocates for action to stem climate change. Gov. Peter Shumlin has recently been a vocal supporter of having the state pension fund divest from coal and ExxonMobil, joining advocates and socially responsible Vermont businesses who have led the effort. The Vermont Governor visited VPIC at their regular monthly meeting Tuesday to vocalize his concerns and call for a process towards “getting to yes.” The same day, VPIC voted to create a subcommittee to further examine divestment. 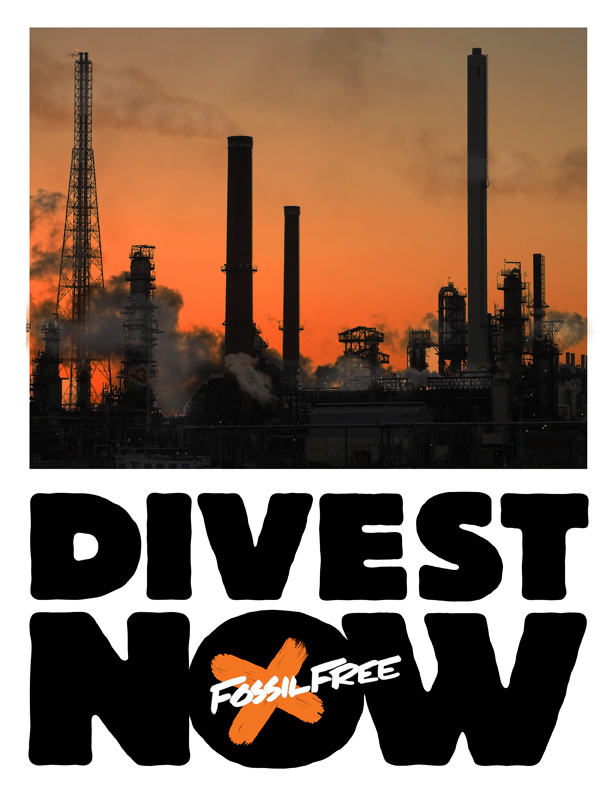 These processes could lead to yet another divestment in a worldwide movement. During the UN climate talks in December, it was announced that over 500 institutions representing more than $3.4 trillion in assets under management had committed to some level of divestment. Coal stocks have plummeted and many companies have filed for bankruptcy. There has been growing momentum for full divestment, as well, as renewable energy has gained cost efficiency over fossil fuels and Fossil Free Indexes have outperformed conventional markets. Leaders from UN Secretary General Ban Ki-Moon to World Bank President Jim Kim have commended the divestment movement for the impact it has having on the economic and political discussion about how to address the climate crisis. About Vermont Chapter of Sierra Club: The Vermont Chapter of the Sierra Club is a volunteer-led affiliate of the national Sierra Club. The Sierra Club is America’s largest and most influential grassroots environmental organization, with more than 2.1 million members and supporters nationwide and 9,000-plus members and supporters in Vermont. The Sierra Club works to safeguard the health of our communities, protect wildlife, and preserve our remaining wild places through grassroots activism, public education, lobbying, and litigation. About Vermont Businesses for Social Responsibility: Founded in 1990, VBSR is a statewide, non-profit business association with a mission to advance a business ethic that values multiple bottom lines: economic, social, and environmental. Through education, public influence, and workplace quality, VBSR strives to help 760+ members set a high standard for protecting the natural, human, and economic environments of the state’s residents, while remaining profitable. Learn more or join the cause at www.vbsr.org. About Bill McKibben: Bill McKibben is an author, environmentalist and co-founder of 350.org, the first planet-wide, grassroots climate change movement. He is a Schumann Distinguished Scholar in Environmental Studies at Middlebury College and a fellow of the American Academy of Arts and Sciences, as well as the distinguished recipient of the 2014 Right Livelihood Prize winner, 2013 Gandhi Prize and the Thomas Merton Prize, and 18 honorary degrees from colleges and universities. McKibben is a former staff writer for the New Yorker, and continues to write frequently for a wide variety of publications around the world, such as the New York Review of Books, National Geographic, and Rolling Stone. About Lake Champlain International: Lake Champlain International (LCI) is a federally recognized 501(c)(3) non-profit organization actively involved in shaping the future of Lake Champlain’s water and fisheries health for the well-being of the people who depend on it today and tomorrow. To protect, restore, and revitalize Lake Champlain and its communities, LCI educates, advocates, and motivates to ensure that Lake Champlain is swimmable, drinkable, and fishable, understanding that healthy water resources are essential for a healthy economy and a healthy community.